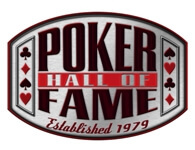 The Poker Hall of Fame will be expanded by two in the coming weeks as the WSOP announced on Thursday that Eric Drache and Brian “Sailor” Roberts were the latest inductees into the extremely exclusive club that includes such legendary players and poker personalities as Doyle Brunson, Phil Hellmuth, Johnny Moss, Wild Bill Hickok and Edmund Hoyle. Eric Drache is a lifelong poker player and executive, having run many of the most famous poker rooms in Las Vegas while playing the highest stakes Seven Card Stud games offered. Drache is credited with helping Benny Binion create the World Series of Poker. Drache is also credited with inventing “satellite” tournaments, helped establish the Hall of Fame he will now join, and was the WSOP tournament director for over 15 years. Brian Roberts, better known simply as Sailor, was one of the early road gamblers, accompanying Amarillo Slim Preston and Doyle Brunson in the sojourns across the south and southwest looking for poker games. Roberts, who passed away in 1996, was one of the best players of the era, and will finally be honored and take his place alongside his longtime travelling companions, Slim and Doyle. Drache and Roberts were among 10 finalists for the Poker Hall of Fame Class of 2012, beating out a number of other worthy finalists including Jennifer Harman, Tom McEvoy, John Juanda, Scotty Nguyen, George Hardie, Chris Bjorin, David Chiu, and Thor Hansen. The criteria for induction is fairly loose, but it has become apparent in recent years that the voters are favoring the elder statesmen of the game, even if players like Jennifer Harman and John Juanda are highly deserving –the prevailing mindset is that these players are still in their prime and will get their chance a little farther down the road. •	Or, for nonplayers, contributed to the overall growth and success of the game of poker, with indelible positive and lasting results.